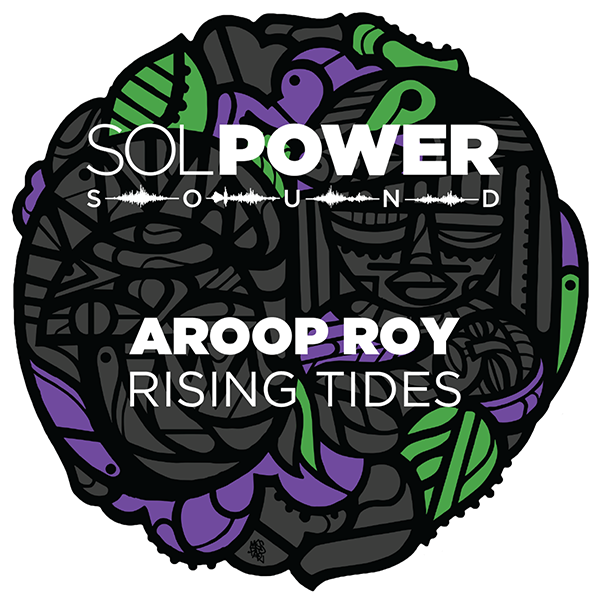 Sol Power Sound adds a fifth release with ‘Rising Tides’ from London producer, Aroop Roy. Aroop has delivered a string of hit records on Gamm, Basic Fingers, House of Disco, and Kampana, and is an exciting addition to the growing Sol Power Sound family. The EP begins with ‘Tembandumba,’ an epic dance floor interpretation of a Totó la Momposina classic. This journey of shifting rhythms, evolving filters, layered synths, and kinetic percussion arrives at a powerful climax that will set any dark room on fire. ‘Abale’ features Malawian vocalist Gasper Nali, and is a reproduction of his tune ‘Abale Ndikuwuzeni,’ from 2015. Aroop’s synth soundscape starts dissonant, dark, and tense but opens up into pure analog bliss — a perfect selection as the early morning sun peeks over the horizon.